I live in Brisbane, Queensland Australia. I’m married to Kylie and am the father of 2 boys, Zach 9 and Jake 6. We are now four weeks away from racing in the Austin Marathon and 5K race. How we got to this point started about 12 months ago I decided that in 2017 I wanted to set a goal to run some marathons and see exactly what I could achieve with a targeted focus. My background in sports had been “on pause” for the past 12 years while we started the family and may have extended a bit too long as I “enjoyed the life” of excess and “normality” (ie not getting up at 0400 and being constantly tired, sore and irritable like all hard training endurance athletes). I had never really specifically trained and “run” a marathon, I had completed a bunch as part of training but these were always part of a “bigger IRONMAN picture” so I was not fully focused, trained, or tapered during these races and I suppose that’s what lead to the goal. This goal seemed to fit well with the family as they all showed interest in getting involved. 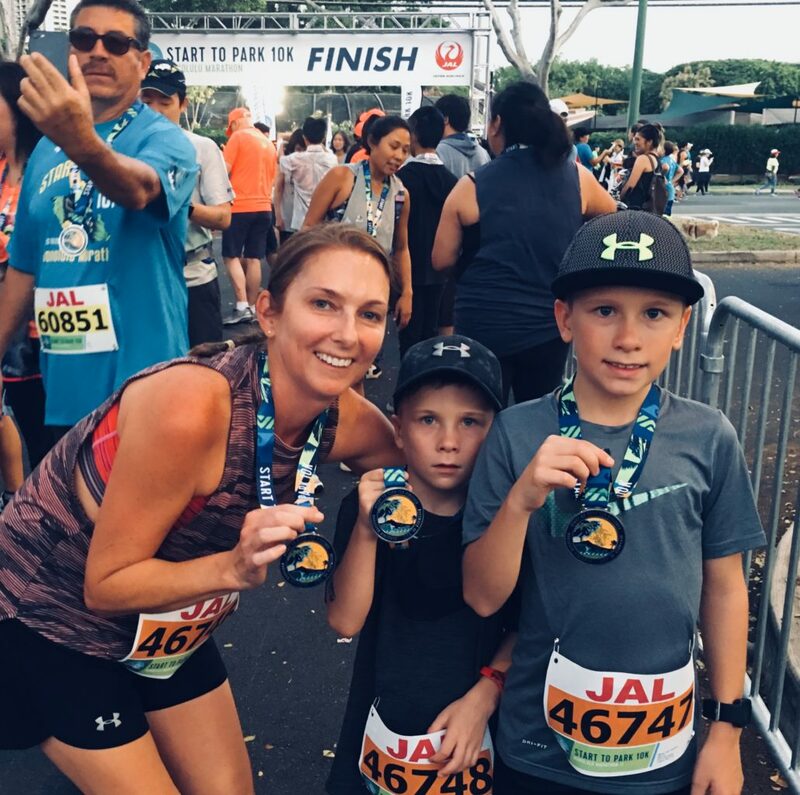 We decided that the “main event” of the year would be the Honolulu Marathon in December followed by a Hawaiian Christmas vacation (sounded perfect end to a year of hard work). I set about training utilizing the Under Armour Connected Fitness Apps, Map My Fitness, Record, and My Fitness Pal to monitor, review, and hold me accountable throughout the process After so much time away from training I was substantially “well-conditioned” (read: overweight). Mike and his boys, who’ll run the Austin Marathon 5K. As the year progressed I started to see some improvements in both running and the weight front, racing a half marathon in May and a marathon in July where I managed to record the same time I ran 12 years prior despite an epic “blow up” at about the 33K mark. At the conclusion of the challenge I had racked up 878 KM and was declared the winner. We now found ourselves Austin bound in 2018. This challenge helped me prepare well for a good performance in Honolulu in December 2017, but also gave me something further to focus on heading forward. With Honolulu ticked off, the work is truly underway with the goals set for the Austin Marathon. 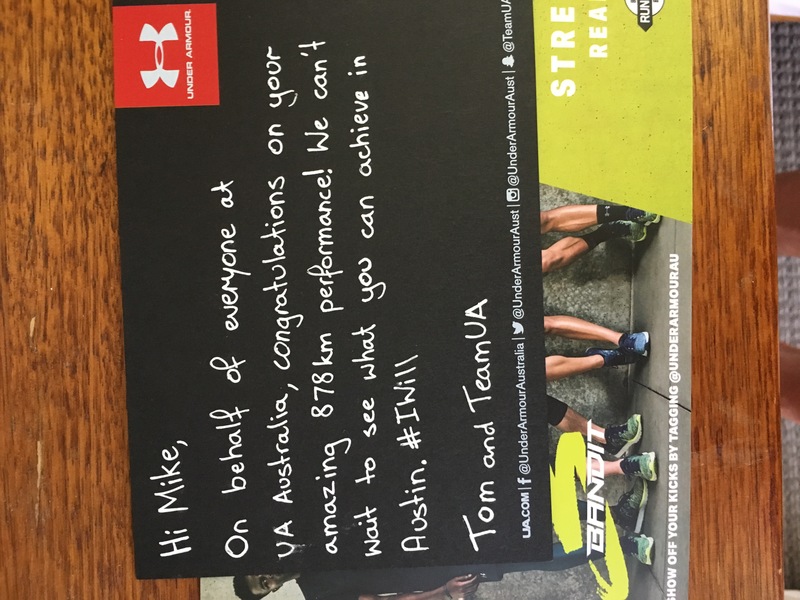 Glad to say that thanks to the Under Armour Australia “Reward your Run” Challenge not only will I get the opportunity to race the Austin Marathon, but my wife and boys will also race in the Austin Marathon 5K. Needless to say, we are all super excited to get this opportunity to go halfway around the world to race and experience a city like Austin. The reality of racing in Austin is what is motivating us all to prepare and train hard for which I expect is the whole point of the event being held. The Austin Marathon event seems to be comprehensive in bringing in a complete experience of the city and state which is super exciting for an Australian family. 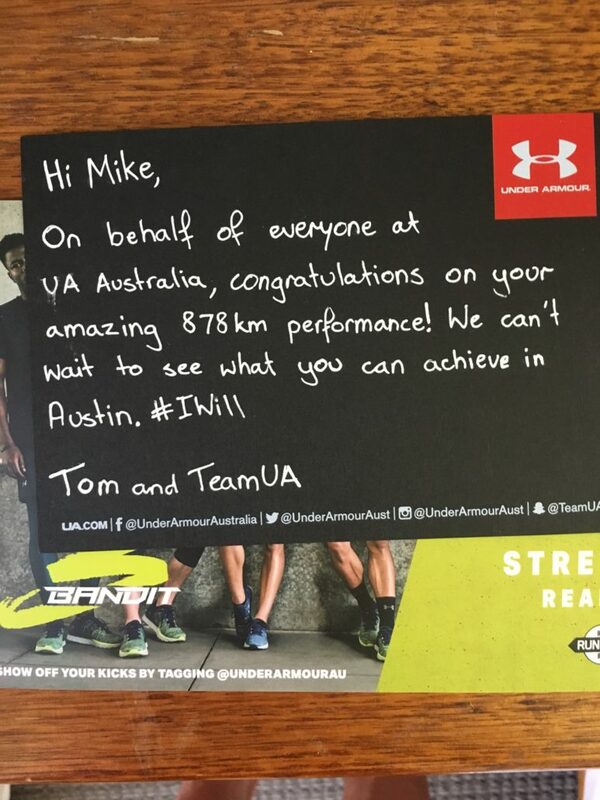 Would love to hear the suggestions for post-race meals, parties, and experiences so we can capitalize on this opportunity at the Austin Marathon thanks to Under Armour Australia. If you see me out there say “Gday,” if I am not too out of breath you will probably get a “Hey Mate” back. This Sunday, 12/3, is my next marathon. It still hasn’t fully sunk in, but it’s starting to. I’ve been training since June. Five and a half months. All that work…. For this cycle, I’ve upped my mileage to 90, which a year ago would have seemed like insanity. I’ve been doing my workouts with guys and gals that not long ago I considered way out of my league. I’m very proud of my improvements, and I am now confident enough to say that I’m going for a 2:45 at the California International Marathon. Unreal. But whether I hit that goal or not, isn’t why I run. My personal motto is “The Path Is The Goal.” I run because I love running. I train because I love training. When I get up for my morning run, I don’t think about PRs or BQs. As I wait for my Garmin to connect, I look up and thank the moon and the stars for the gift of running. I discovered running basically by accident. It changed my life so profoundly that I won’t attempt to summarize it here. If I can pay it forward, then I’m game. My first and only pacing duty took place a few years back when I convinced a few of my high school Cross Country kids to run the Austin Marathon. They absolutely killed it. Their time goal was modest, but they didn’t care about that. They simply wanted to take on a herculean task, and see what happens. Well, they finished, right alongside their coach. We cried, we hugged, then we sat down and contemplated the fact that we just ran twenty-six point two blessed miles! Lives were changed that day, and that’s a beautiful thing. So while I look forward to my race, and I’m trying not to look too far beyond it. I am already looking forward to my pacing duties at the Decker Challenge and Austin Marathon, where I’ll pace the 3:35 group. I remember how important and inspirational my pacers were during my first two marathons and the idea that I can be that for others in pretty exciting. Crossing the finish line with a group of warriors that accomplished something that was beyond themselves, now that sounds like something worth doing. For those hours, we will be a family. There will be ups and there will certainly be downs. But together we will succeed, and it will be a beautiful day. Living in western South Dakota does not give me many options for winter half or full marathons. After missing my half marathon PR by 1 second and 20 seconds in the fall, I was super pumped when gifted an entry into the Austin Half Marathon for a third try! Below are my six favorite pieces of advice I like to share with those who ask for general racing tips, tuned specifically for Austin. Keep them in mind as you train for and when you run the Austin Half/Full Marathon and I have little doubt you’ll get a bit closer to that PR! You’ll notice that none of these have anything to do with your fitness level. They are applicable to everyone and every event. I’ve read a lot of research studies over the years, but one that compared racers in an actual race and their position before and after a hill was the one that has stuck with me the best because it’s so applicable to real life and easy to put into practice. The researchers determined that while this may cause you to lose time compared to other runners right at that very moment, over the course of the race duration the individuals who slowed going up had more stamina once they reached the top and were able to accelerate and pass the runners who expired because they maintained their pace. A fast way is to simply search Google for the name of your race + race report and read the experience other people have had during past years of the event. Race reports will often mention how the start is organized, what aid stations are like, crowd support, etc. Of course, the race website is full of helpful information as well. Get familiar with what hydration and calorie options will be available and at what intervals on the course, and look at the elevation profile so you’re aware of any steep bridges or climbs at the end of the course. The absolute best option is to actually train on the course. If you’re training in Austin, your long runs will likely be very near to 15-20 miles and doing them on the course is wise. The more familiar you are the better! Another note from a friend of mine that did the full: Be aware that for the first few miles you’ll be running with a bunch of half marathoners. 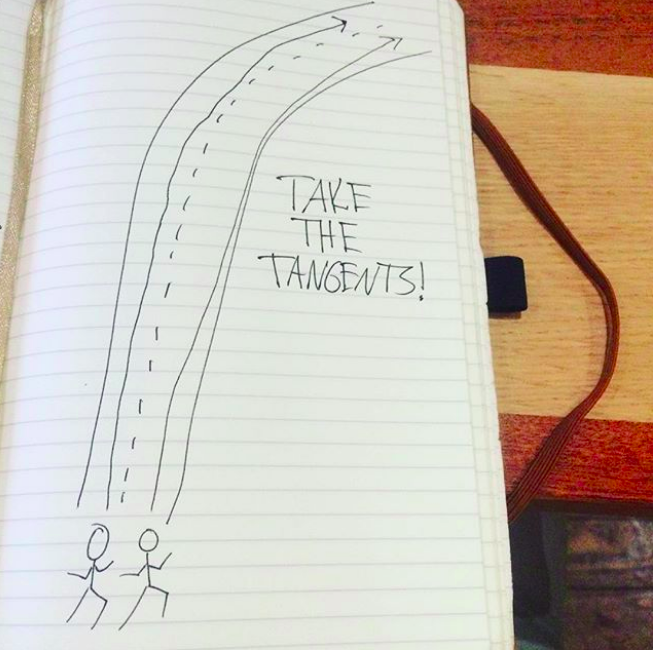 Know when and where the split is. Otherwise, you may suddenly and surprisingly find yourself running solo. When I arrived in Austin it was actually warmer in South Dakota than in Texas on that February day! However, on race morning it was about 70 degrees and humid. I re-evaluated my pacing and goals and decided to skip the warm up to keep my core temp down and take the first uphill 5k super easy before dropping the hammer for the remaining 10 miles. I ended up running the first 3-4 miles about 25-30 seconds slower per mile than I would end up averaging. 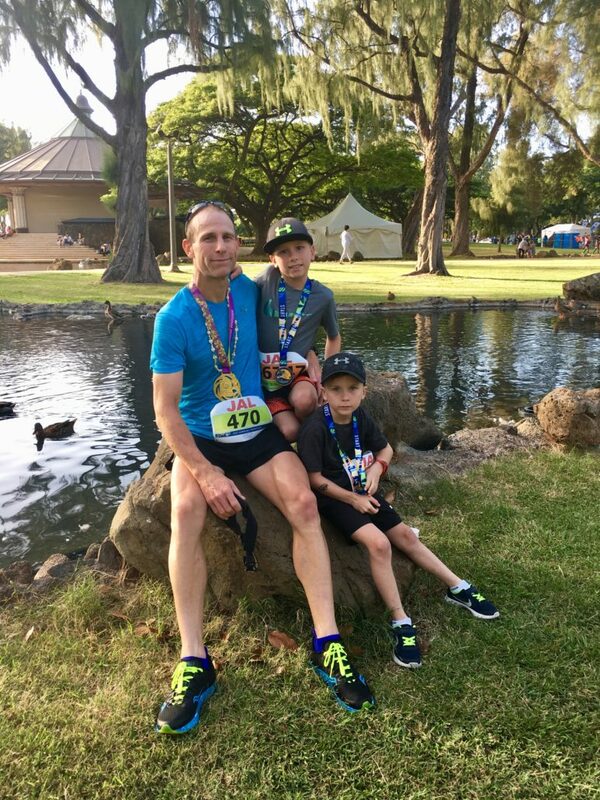 Due to the proper pacing, I was able to run comfortably for the entire race duration, never needing water or calories and not experiencing any cramping or stomach issues. The final third of a race is full of people barely shuffling forward who “had a great first half.” Don’t be one of them! Let people go off ahead during the first third of the race distance, many of them will expire and you will pass them feeling well. Just don’t count passes out loud, it’s rude. For just about any distance, I like to recommend my clients break it up into three parts. Run the first part easy, which will be much faster than your typical easy pace. Speed up a bit for the middle third but keep it controlled. And then for the final third, whether it’s during a 5k or a marathon, you can basically run at best effort. It’s harder to bonk when your body knows the finish line is near! No one needs a sport or luxury car, but when you have one it sure is nice. 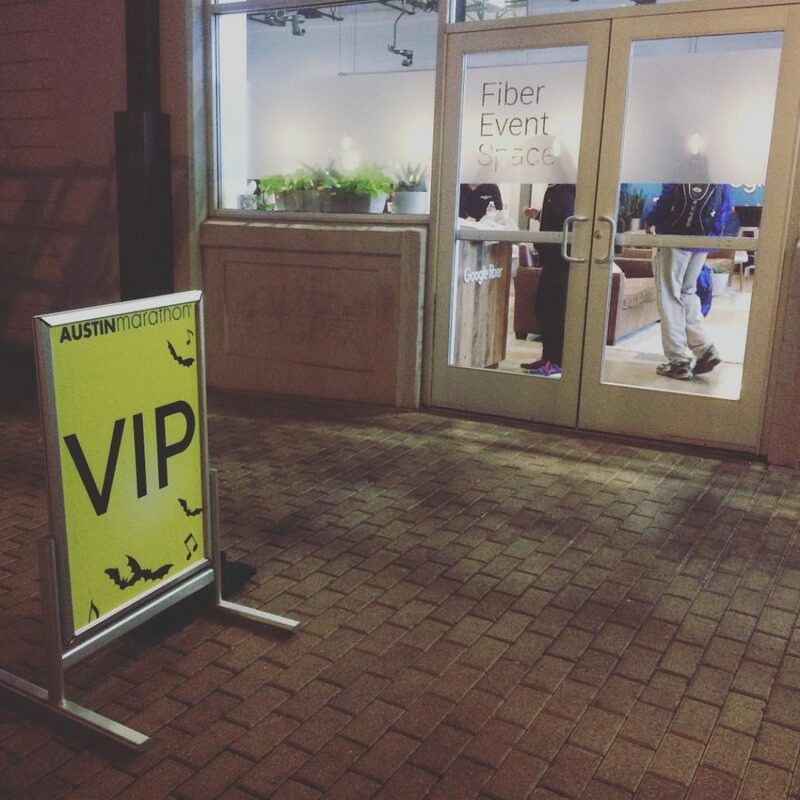 No one needs the VIP Experience at the Austin Marathon, but it sure was nice! From the indoor waiting area with couches, refreshments, little breakfast burritos, and indoor bathrooms to the post-race meal looking over the finish line area and massage, it made me pretty darn special to be a VIP for a day! Oh, and I LOVE the free cap I got at the expo for being a VIP. Regardless of your experience level or knowledge, putting even one of these into practice will help. You will put hundreds of hours into training for this half marathon, don’t sacrifice your goal by making any easily avoidable mistakes at the event! 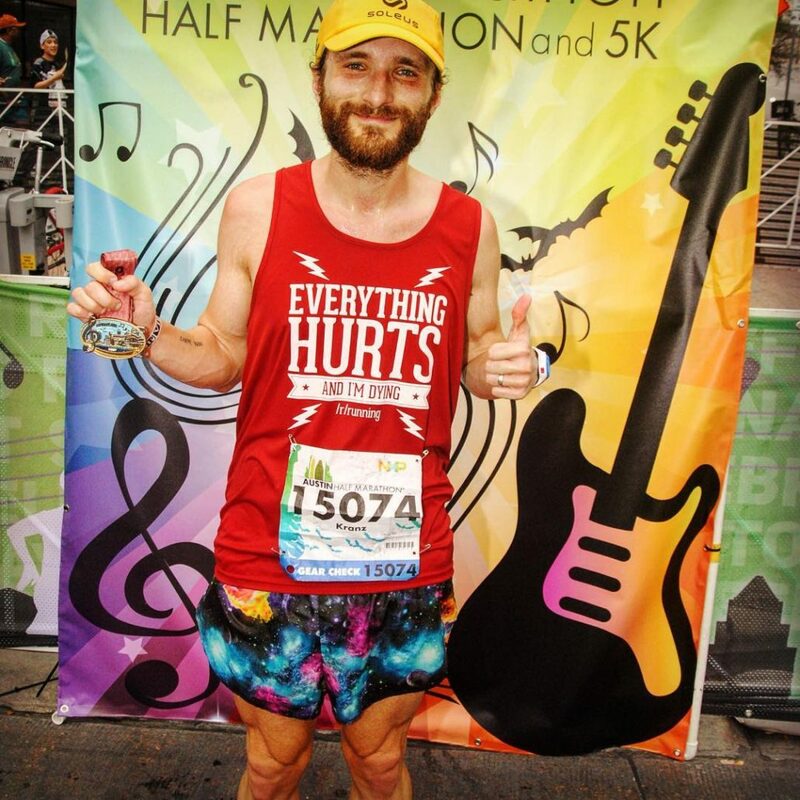 Kyle Kranz finished the 2017 Austin Half Marathon in 1:27:46. 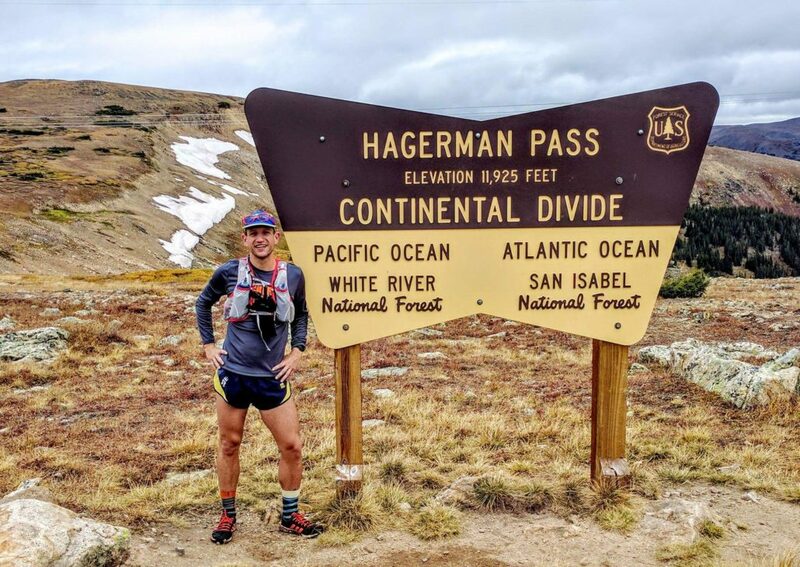 He works with runners from around the globe helping them achieve their goals. Follow him on his social channels (Facebook, Twitter, Instagram, YouTube) to gain more insight!